Summer is right around the corner! If you're anything like I used to be, your vehicle might be a hot mess, and will only get worse with summer activities, road trips, beach days, etc. 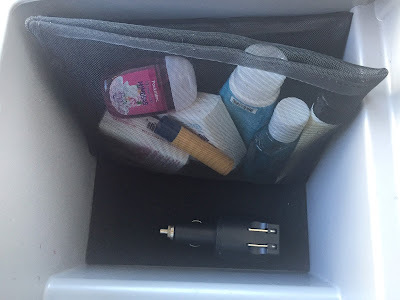 I find that too many people over complicate car organization with Pinterest tips and "hacks" that leave you with a car full of hanging shoe organizers and things you don't need. While these type of organizers might work for some families, I find they just add to the clutter and end up full of crumbs, sand, etc. 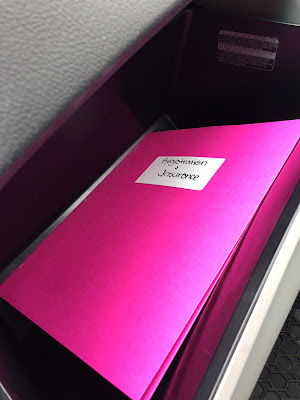 I've come up with super simple car organization ideas that work for us, and should work for you too. 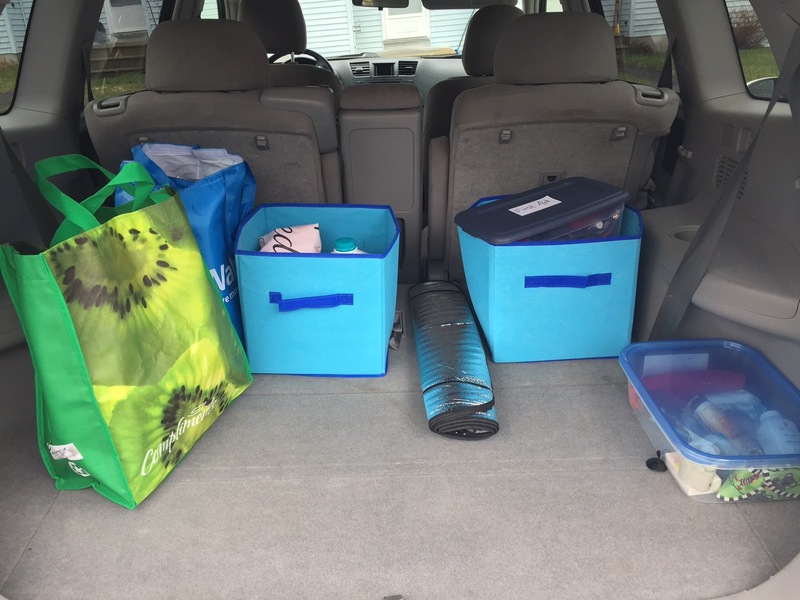 We have 2 vehicles- a truck and an SUV, so I'm going to be posting organization that can be used in both or interchanged between them. In the photo below, this is how it looks when I get groceries. I've got the stuff we keep in the back all the time, along with groceries on the left side. You can buy actual trunk organizers that look nicer, but I just picked these cheap bins up from our local dollar store for now. • A glass bottle of water. They say not to leave plastic bottles of water in the car because the chemicals in the plastic can seep into your water, but I wanted to have some water for an emergency. This one is pretty straight forward. I was ALWAYS forgetting my reusable grocery bags when I left the house. Now I have them folded in the other fabric storage bin I bought. Once I bring the groceries in, I just take the bags back out to the car. • A glass bottle with a straw for Mason. • Baby powder- it instantly gets wet sand off! Perfect to remove sand from the kids after being at the beach. We also keep a sun sheild for the window in the back for when it's really hot out, to keep the vehicle shaded. These are really inexpensive and can be bought at most dollar stores, Walmart etc. at the age where he sometimes runs away from us, and we like to use it in crowded places. Inside the bag he has some toy cars, play doh, a book, and stuff to colour with. It's also just big enough to hold his LeapPad if necessary. This will keep him occupied during short trips, at restaurants, etc. He's an only child right now, but for future children we would do the same thing, and have 1 backpack per child. Your vehicle doesn't have to be a secondary play room with a ton of entertainment, and I love the idea of keeping things simple. 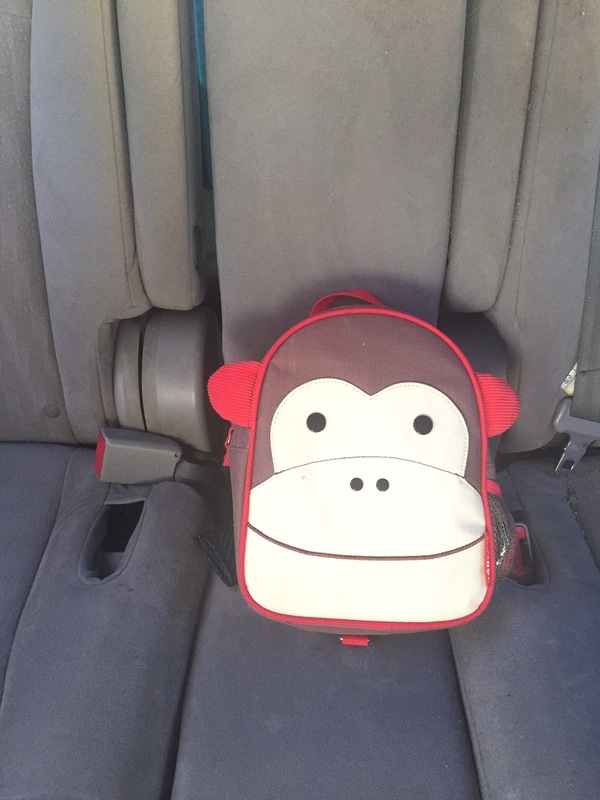 On longer trips we use a larger Skip Hop backpack to hold activity kits, snacks, and "exciting new" toys from the dollar store. I find giving him new toys for long trips holds his interest longer. He also gets to keep a blanket in the car, which we keep neatly folded beside his car seat. I keep our registration, insurance, and a copy of my CAA card in the glove compartment in a bright labeled folder. It's super easy to reach for if needed, and everything is kept together. I keep this large mesh zippered pouch under the arm rest. It holds tissues, a pen, spare change for parking, hand sanitizer, lip gloss, hand lotion, and a travel mascara (if I ever leave the house without makeup and regret it, at least I'll have lashes). I have an identical mesh bag for our truck, along with some items for my husband (extra tissues for his allergies, etc). 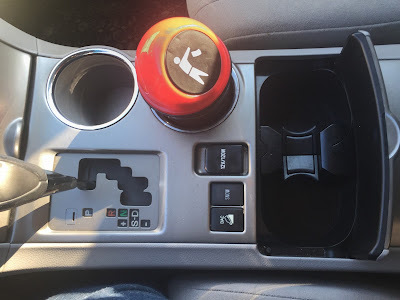 I also keep our USB car chargers in the same spot. I bought this small cup holder sized garbage can at the dollarstore and I LOVE it. I've been using it for a month or so and just had to empty it today. It's the perfect size for receipts, straw wrappers, etc. Most of the garbage in my vehicles are usually from the items I just mentioned, so it's been great to have something collecting all of the trash. If you need a larger garbage can in your car I suggest just using a simple paper shopping bag with a plastic liner- it won't take up a lot of room, and you can just empty the inner bag once it's full. On longer trips we definitely accumulate more garbage and this is what we use. 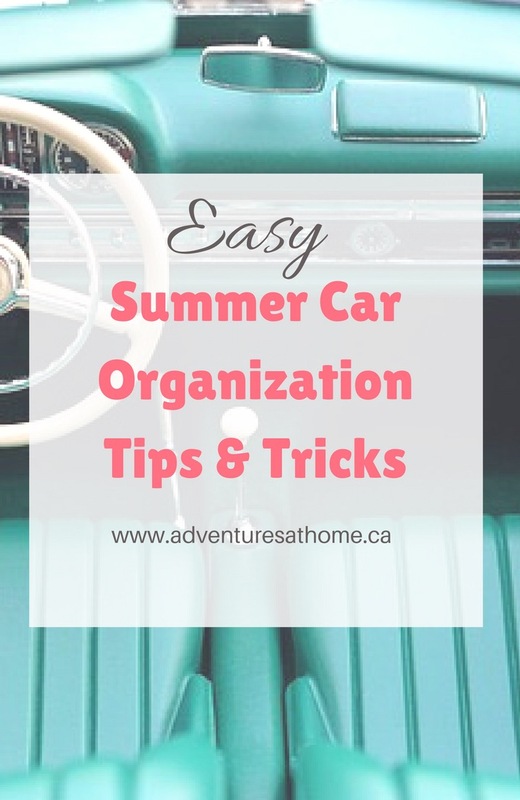 So, those are my super simple summer car organization tips. Like I mentioned above, I think less is more and we don't need to fill our vehicles with a ton of stuff. Even with kids, it IS possible to keep things clutter free with a little effort. I would love for you to comment below and tell me your summer car organization tips! Also, would you want to see a road trip organization post? Let me know below!